Anthony William addresses the unforgiving four: radiation, toxic heavy metals, the viral explosion, and DDT. Moreover, the adrenaline trap: stress – adrenal fatigue, infertility issues, harmful health fads and trends, and foods that make life challenging. 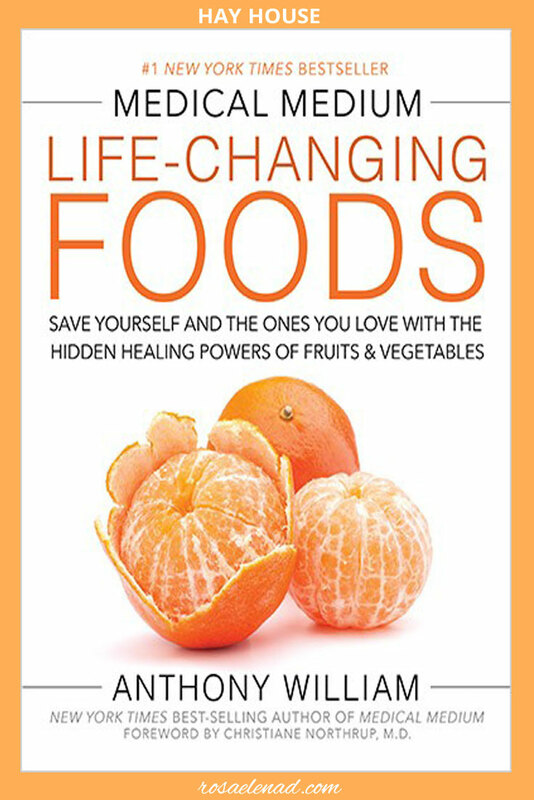 50 life-changing foods include fruits, vegetables, herbs, spices, wild plant-based foods, and raw honey. 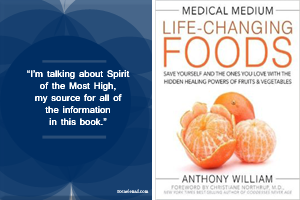 The book presents general information, conditions and symptoms that can improve with each of the life-changing foods, emotional support, spiritual lesson, tips, and one recipe. I use the information in this book as long as it doesn’t collide with doctor’s diet advice such as Dr. McDougall.